People have never enjoyed as much music as we do today. All music from all time is available at our fingertips. Young artists are exploring the frontiers of pop, rap, R&B, grime, jazz, electronica, rock, classical, punk and soul, while fans share the experience online, at gigs and festivals. Music is precious. It is the playlist to our loves and losses, our protests and parties. In the online world, whether professional or amateur, everyone is a creator. The posting and sharing of music, memes and other user-generated content is vital. They are the soundbites and commentaries to our everyday lives. 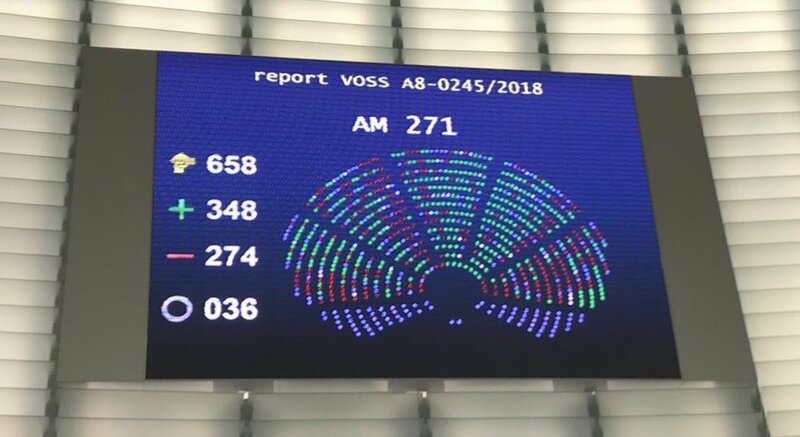 On September 12, there is key vote on copyright in the European Parliament. The European Union has the chance to recognise this creativity and help it flourish. Freedom and fairness should be the guidelines. We embrace the fact that creators and citizens enjoy a unique relationship online. At the same time, we need to rewrite certain rules of engagement online because some large platforms claim that responsibility lies only with the user and the owner of the content. This is a set of principles and safeguards that everyone can respect. Fans get to discover and enjoy more music. Artists have a say and more revenue. Online services get a clear set of rules which can still adapt to different sizes and types of service. Music companies, who today are solicited more than ever by artists looking for innovative professional partners, can invest more in talent. Freedom of expression and other fundamental rights of creators and citizens are upheld in the online world. All eyes are now on the EU as it rewrites the rules of the game. It is well qualified for the job. At its heart, Europe always has been a cultural project, an audacious democratic experiment to negotiate our differences, a home for all voices, big and small. The last vote took place amidst massive lobbying which tried to pitch people against creators and their partners. Let’s enshrine the fundamental rights of both and show that balance is possible. Let’s modernise copyright and make Europe the best place in the world for culture. Let’s make the internet fair and sustainable for all.